A year and a half after his death, the wounds are still fresh for the parents of Auburn Police Officer Ron Tarentino. When Auburn, Massachusetts, police officer Ron Tarentino was murdered last year, it was a chilling reminder of how many stolen or lost guns are on the street in the hands of criminals. Tarentino was gunned down on Sunday morning, May 22, 2016, killed with a stolen gun in the possession of career criminal. NBC Boston Investigator Karen Hensel teamed up with NBC stations to trace thousands of stolen guns across the country, collectively analyzing more than 842,000 records of stolen or lost firearms. It is the first tracing of its kind to determine where the guns come from and where they end up. 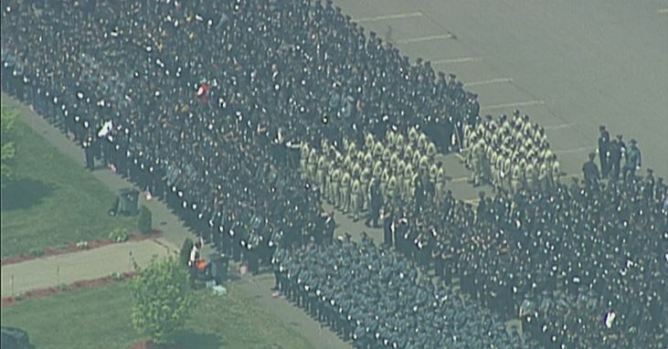 Tarentino was a 42-year-old police officer in Auburn, a small town of 16,000 people. His parents agreed to talk about their son and the night he died. The parents of murdered Auburn police officer Ron Tarentino talk about their son's life and death. Tarentino's mother, Sharon Tarentino, described him as "the class clown who would just entertain everybody." She said her son was known for his humor and compassion. "We just figured a small town, small community, the odds were in his favor," Sharon said about her son becoming an Auburn police officer. 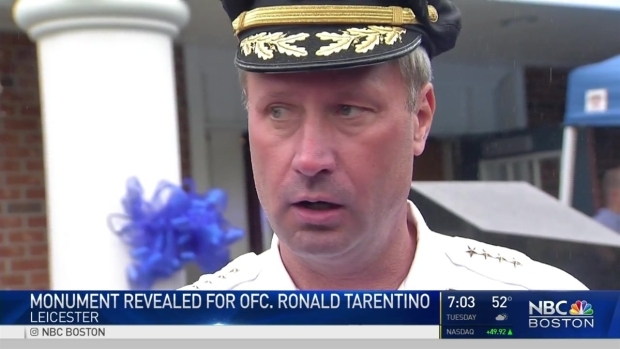 Ron's father, Ron Tarentino Sr., is a 42-year veteran of the larger Medford Police Department. Young Ron grew up wearing his father's police hat while he was still in diapers. The parents shared photos of Ron graduating from the police academy. "He was always humble, never wanted thanks," the elder Ron Tarentino said of his son. The call about Tarentino being shot in the back during a routine traffic stop came in the middle of the night. "It was a shock," his father remembered. "I'm hoping for the best. That it's not a lethal shot." The NBC Boston Investigators traced the gun used to kill Tarentino through police and Department of Justice reports. It was a stolen Smith & Wesson .45 handgun taken from a house robbery in Athol in 2014. 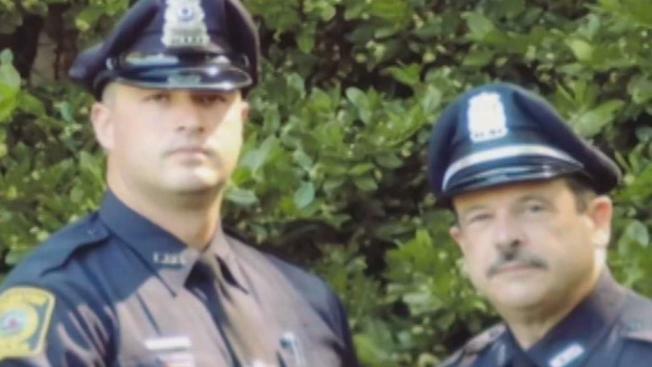 Less than two years later, the gun was used in a crime spree that left officer Tarentino dead and another Massachusetts State Police trooper later wounded during a shootout that left the suspect, Jorge Zambrano, dead. "Stolen guns is a huge public safety issue," Worcester County District Attorney Joseph Early told the NBC Boston Investigators. "Eighty to 90 percent of the crime we have, the violent crime is usually committed with people with stolen guns." Early said it didn't shock him when he learned that a stolen gun was used to kill Officer Tarentino. "I wasn't surprised," he said. "How could a guy like that get a weapon?" Auburn Police Chief Andrew Sluckis Jr. also had an inkling about the murder weapon. "I initially assumed he probably got shot with a stolen firearm. The majority of police shootings involve stolen firearms. The people that possess licenses to carry firearms don't generally go out and start shooting police officers," Sluckis said. NBC Boston and more than a dozen NBC stations across the country teamed up with The Trace, a nonprofit journalism organization, to track how stolen guns move around the country. We obtained records from more than 1,000 police agencies in 36 states and the District of Columbia, netting over 842,000 gun records. "The word is out," said Kevin O'Keefe, who works in operational intelligence for the Bureau of Alcohol, Tobacco, Firearms and Explosives in Washington, D.C. "These guys are going after the guns. This is not going away. It's noticeable, noticeable increases in the last several years." The data shows, for the first time publicly, how often stolen guns travel across the country and become connected to other crimes like carjackings, kidnappings and murders. For example, guns stolen in Atlanta, Georgia, and Fresno, California, ended up at crime scenes in Boston. 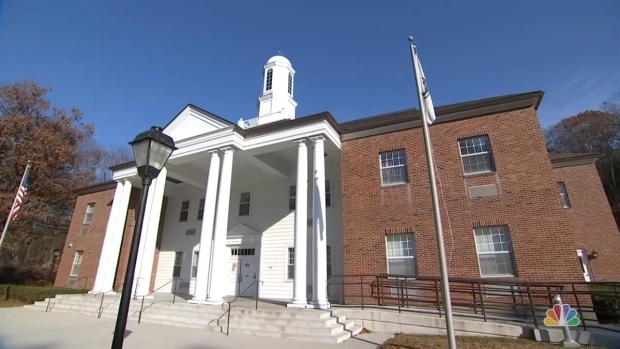 A revolver stolen in Hampstead, New Hampshire, also found its way to Boston, where police stopped the gunman at a high school graduation. Records show that Zambrano, the suspect who killed Tarentino, had guns and a history with cops. He was charged with assaulting a Worcester police officer, then fighting with three Massachusetts State Police troopers. Prosecutors wanted him held behind bars. Monday marks the one-year anniversary of the death of Auburn Police Officer Ronald Tarentino Jr., who was killed in the line of duty. "Throughout his record on almost all his charges, there's a resisting arrest or an assault and battery on a police officer charge," prosecutors said during a 2016 hearing. During that same hearing, Judge Andrew Mandell debated whether to grant the $500 bail. "He got 2-1/2 half years in jail for assault and battery on a police officer – I mean, how many times is it going to take here?" Mandell asked. Apparently, one more time, as Mandell granted the bail. Ninety days later, Zambrano killed Tarentino and died in the shootout that followed. "He should have never been out on the street," Sluckis said. More than 18 months after Tarentino's death, the streets in the town of Auburn are still lined with American flags, Tarentino signs and personal tributes. "Everybody says it happens for a reason," Tarentino's mother said, becoming emotional. Tarentino's father finished her thought. "It's hard to figure out what that reason was." "What bothers me most is we didn't get to see him until after the surgery, and the doctors came out and said there was nothing they could do. There was no closure," said Tarentino's mother. Massachusetts has some of the strictest gun laws in the country, which makes the state ripe for this black market, underground world of guns flowing from states with looser restrictions.